against a society ruled by convention. and small pleasures for joy. the knowledge of despair, no fullness without "ce gouit du nuant"
"Like." Thanks for posting, Jack. 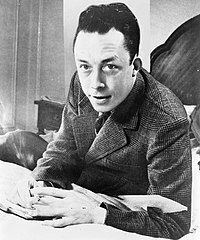 Need to read up on Camus. Reading Shakespeare allowed me to ace my Philosophy doctoral exams.